Instead of contacting a variety of agencies separately, social enterprises seeking help will be able to go to a one-stop resource centre which is due to open by the end of June. The as-yet-unnamed centre will provide mentoring resources for businesses with a social mission and other services such as funding, networking and consultancy. It will be led by four key agencies for the sector: the Social Enterprise Association, the Singapore Totalisator Board which runs the Social Enterprise Hub, the Ministry of Social and Family Development, and the National Council of Social Service (NCSS). Currently, social enterprises have to go to different locations to apply for funding schemes and network with potential corporate and charity partners. 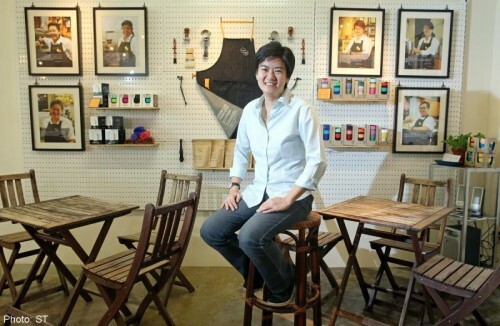 "We had to pound the pavement to talk to the various voluntary welfare groups, to reach out to the women and young people that we wanted to help," said Ms Pamela Chng, founder of Bettr Barista, set up in 2011. She had to explain the coffee academy's model - helping beneficiaries like marginalised women and at-risk youth hone their coffee-making skills while training them in emotional management and physical development. The NCSS, an umbrella body of more than 400 welfare groups, will also set up partnerships between its members and social enterprises, such as by holding networking sessions. Mr Peter Yang, founder of Empact which promotes skills-based volunteering, said the centre could help social enterprises to be more efficient. "It can cut down the time navigating among the different stakeholders, and figuring out who does what," he said. "All the information is there." Minister for Social and Family Development Chan Chun Sing said yesterday: "Social enterprises want to not just give, but also enable those being helped to stand on their own feet again. "If we have more social enterprises, it means we can do more good for the disadvantaged group in a more sustainable way." More details of the centre, including its location, will be revealed later this year.